If you hire an attorney to help you file a claim in a personal injury case, just how much financial help can you hope to get? The answer is going to depend not only on your medical costs and loss of work time, but also on how your “pain and suffering” is calculated. 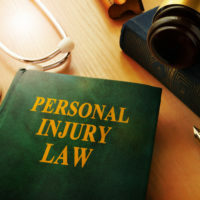 In the Legal Encyclopedia, author David Berg explains that, even if a claimant has no need for further treatment by either physical doctors or mental health professionals, the negative effects of an accident could entitle him or her to compensation for “pain and suffering”. The first type of loss you might have suffered is financial. These are losses you might have suffered as the result of an accident, including bills for doctor’s visits, hospital bills, pharmaceutical costs, physical and occupational therapy sessions, and surgeries, plus the loss of earnings you’ve suffered by being away from work. But, in addition to all of these physical effects, you may still be experiencing mental pain and suffering, which refers to emotional injury causing fear, insomnia, anxiety, shock, social or sexual dysfunction. But how can the “value” of mental anguish be measured in dollar terms, you wonder? Isn’t every accident (and isn’t every person) different from all the others? That’s true, and there is no standard way to calculate pain and suffering, explains DMV.org. Multiplier method: Multiply the total medical bills related to the car accident injuries by a number from 1 to 5 (depending on the seriousness of the accident). Per diem method: Gauge all the daily activities you can’t perform due to your injury, and assign a cost to each day multiplied by the number of days your normal routine is likely to be interrupted. But, as you’ve already intuited, each person experiences pain and suffering differently, and pain and suffering are very difficult to measure. Different states have different limits on pain and suffering. Indiana, home of Ramey & Hailey, does not cap damages for general pain and suffering. There IS a cap of $700,000 for claims against the state, and a $1.6 Million cap on medical malpractice claims. Medical malpractice is obviously a highly technical field of the law and must be explored with a qualified medical malpractice lawyer’s help. That is particularly true in claiming pain and suffering compensation.